Son missing in Cambodia. Do you know Vince Weatherall? Re: Son missing in Cambodia. Do you know Vince Weatherall? Let's avoid posting derogatory and unhelpful posts on this thread, just for once. Go over and post on the piggybank thread to make rude comments. Edited twice to eliminate language and attempt to be a bit more courteous on this worried woman's thread. As long as I'm here, to worried mom: son has you blocked on FB, so you can't see his photos. That speaks volumes. He's doing something he doesn't want you to now about. Please disregard the post above. Phuketrichard is one of these idiots who thinks every new poster with an unusual story is a "troll" who is fabricating a story for kicks. I would point out that the mother doesn't say that her son "blocked" her on Facebook. She merely said that she is not friends with him on Facebook. She may not have a Facebook account, or the guy may have made a decision not to "friend" his mom, as some people do. He was on overstay ( or so we are told) and mom sent him the $$ to pay the fine at which point he would have had to LEAVE Cambodia. Or he could have pocketed the money and not left. Or left Cambodia after overstaying and returned a day later. Of course you think he's in Thailand, you think Thailand is the utopian center of the world. He may be there, he may not. One thing that troubles me about what his mom is saying Vince asked for $2000 NZD to pay immigration which equals $1350 USD. If Vince arrived on September 8 under a typical tourist visa that you can get online or on arrival, his visa would have expired on October 7, thirty days later. He would have 96 days of overstay. The fee is $10 USD per day which would be $960 USD. So he asked his mom for almost 50% more than he actually needed to pay an overstay of this length. If that's the case, and if he recently withdrew the money from within Cambodia (she doesn't say how/where the withdrawal was made) then it suggests that he just wanted money to continue staying in Cambodia. Is that a yes to the overaged skateboarded look? PIEMAN have you seen this guy? 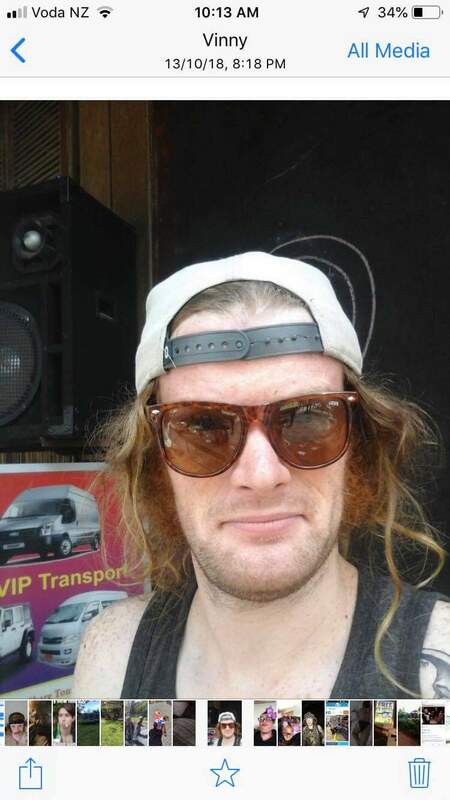 Note to Louise: PIEMAN spends a lot of time in the parts of Phnom Penh where downtrodden Westerners gravitate and seems to always be within one degree of separation of any Westerner who ends up in the news for being deported, arrested, etc. So tell me, How would police access his bank account UNLESS it was moms account and she gave him her atm card and access info? 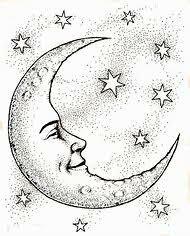 He appears to have a large, distinctive tattoo on his left shoulder of a crescent moon with a face in it, not exactly this, but something like it. OK, send me a link to his FB account or a photo from his FB account to prove that, Inspector. You've been using the internet heavily for decades and have never heard of social media privacy settings it seems. It would be nice to know if she could see his Facebook account and photos before and then he suddenly blocked her or changed his settings after she sent him money. She's not saying that. She's drip feeding non-specific information, perhaps because she doesn't want to splash all the details or her relationship with her son on the internet, but it's frustrating. That does not mean that the thread is a wind up. Witnesses have many reasons why they are often like this, it's not particularly suspicious, it's just frustrating. Last edited by Cam Nivag on Thu Feb 07, 2019 9:58 am, edited 1 time in total. he should not have been able to open a Cambodian bank account without a business visa and a lease. Acleda and ABA were very strict on that a couple of years ago. I've opened accounts at both on a number of occasions, and they will/would open with a passport and tourist visa and a $50 locked in balance. That $50 was reduced to $10 locked in balance, if you supplied lease etc - they gave you a resident account vs a tourist account. Plus there's no guarantee that he uses his given name on Facebook, some prolific posters of this forum do the same. If Vince arrived on September 8 under a typical tourist visa that you can get online or on arrival, his visa would have expired on October 7, thirty days later. He would have 96 days of overstay. The fee is $10 USD per day which would be $960 USD. Wasn't the overstay fine increased? Seem to remember reading this somewhere. I think it was increased from $5/$6 a day to $10 a couple of years back.